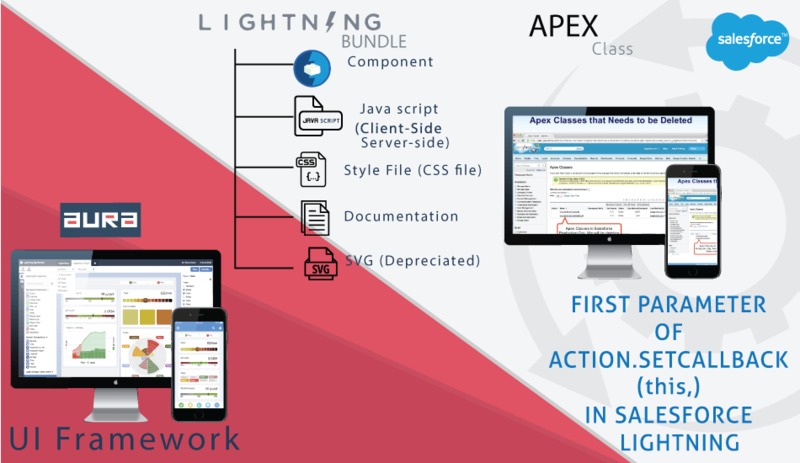 I have been working a lot on Salesforce Lightning framework recently and completed more than 5 big small projects in converting Salesforce classic apps into making them lightning ready. Let me summarize what I have learned recently. The line just above the screenshot “look and feel of an Aura APP”. The word APP(bold) is like container in Aura i.e. it holds the component which is having the fields and button in it. Let’s get into little bit technical explanation of the above screenshot. 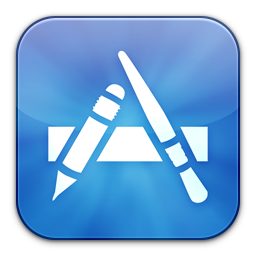 The component file will have the .cmp extension whereas App will have the .app extension. We basically work on the first four files (Bold). 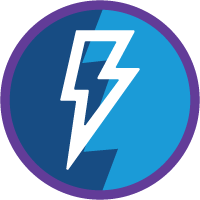 SVG is used for icons but it is outdated and salesforce now is introducing lightning icons instead. 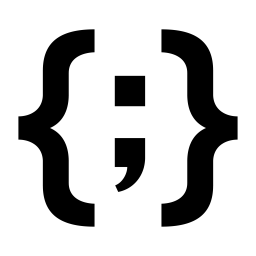 Let’s talk about Component, Controller JS, Helper JS and Style file individually. 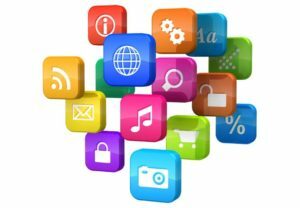 Component: Components are the self-contained and reusable units of an app. 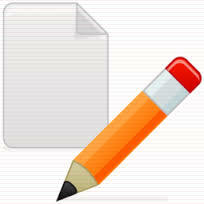 They represent a reusable section of the UI and can range in granularity from a single line of text to an entire app. component—The component to which the controller belongs. event—The event that the action is handling. 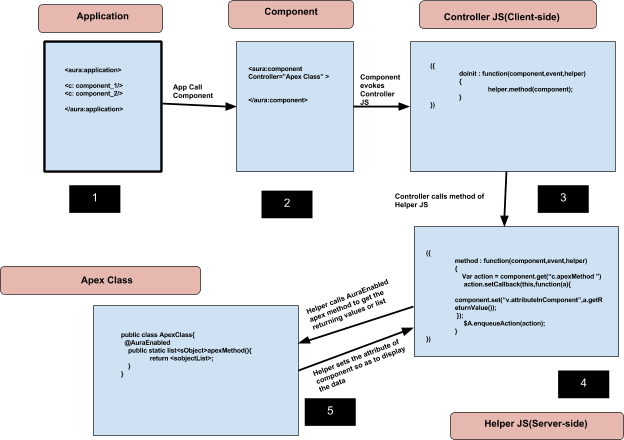 Helper JS: A helper resource is part of the component bundle and is auto-wired via the naming convention, <componentName>Helper.js. 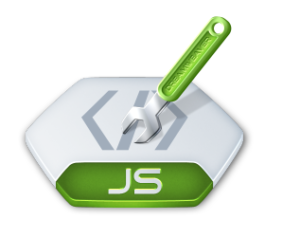 To create a helper using the Developer Console, click HELPER in the sidebar of the component. 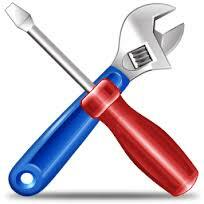 This helper file is valid within the scope of the component to which it’s auto-wired. The following code shows you how to call the updateItem helper function in a controller, which can be used with a custom event handler. CSS File : Style your components with CSS. Let’s look at a sample helloHTML.cmp component. The CSS is in helloHTML.css. 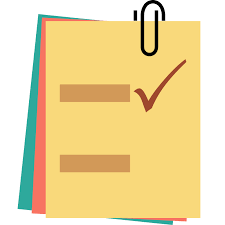 Let’s have a glimpse of Aura where on submitting the Account Name you will get all the contacts related to that Account. The very first line after <aura:component> will be use to display the data on the Component. When I have entered the Account Name to the Input Text and click “Submit”. It has evoked getSubmit method of Client-Side JS i.e. Controller JS method. 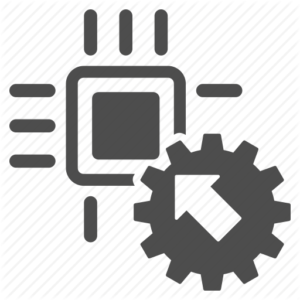 Will set the set the Parameter of Apex Method with the Value which we have inserted in the input text having aura Id as accName. This line will set the variable which we will be using on the component to display the data. In the above snippet, “this” keyword is used to refer the current component which has invoked the complete execution. This line is most important as it is responsible for getting the returning result from apex class and set it to the attribute/variable which we are going to use the component. Note: Alphabet v is used to access variables whereas c is used to access controllers. Thanks for the post really help for the beginners.